Our Blank guns are used for military training. We have front Firing and Top Firing Blank Guns. They are realistic blank firing replica guns that are great for military and police training drills, gun safety and instruction classes and seminars blank guns as well as prop and reenactments, collectors and firearms hobbyist blank guns. These are fake guns for safety with functional features for your training and prop purposes. 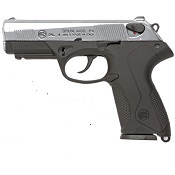 Sometimes called blank shooting guns and blank firers even blank fireing guns. 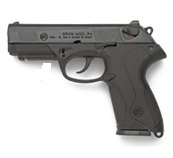 Our selection of these blank guns includes: 8MM, 9MM/380 and 9MMPA blank guns, P99 Walther Blank Gun, Jackal fully automatic machine gun pistol, replica blank firer, blank ASI UZI or blank firing UZI, Beretta Cougar or VCougar Replica, Beretta PX4 or P4 Storm replica, Beretta V85 in 9MMPA replicas, Beretta M92 and M92F in 8MM and V92 in 9MMPA in full or semi automatic replicas, P 38, Walther VPPK in 9MMPA replicas, P229 or P29, ARAS SWATT and ARAS compact, Colt .45 1911, Colt detective in 2”, 4” and 6” revolver, Sava blank guns and many other blank firing models. View several pages by changing pages at the bottom of each page.